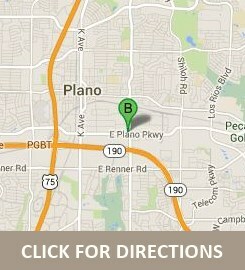 Look no further than our Plano glass enclosure, sales and installation services for your shower or tub project. Our company will precisely measure and install your new bathroom enclosure in curved, angle, or walk-in styles. The first step is selecting the glass and accessories for a shower door or enclosure design. This is determined by the size of your bath space and the total supplies and materials needed to complete the installation. Our office works with the homeowner in advance of installation to establish project goals, calculate the amount of glass required and ensure that walls, tiles, ceilings and contact surfaces are properly prepared beforehand. Once a customer's order is taken, we schedule an inspection visit, take measurements and prepare for the installation. Customers can purchase a remarkable new type of glass called ShowerGuard to protect their shower against unsightly water spots, soap build-up and scale residue. 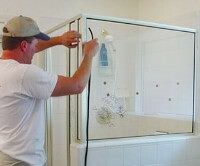 ShowerGuardTM glass greatly reduces your maintenance and cleaning. In addition to glass protection, a variety of glass surfaces and hardware accessories are available to accommodate your bathroom's unique decor and accent your shower enclosure. Shower door handles, hinges and towel bars are added during installation. Our installers will arrive at your home on schedule to measure the space where the glass is to be installed. These calculations are then given to our glass cutters so your shower glass can be cut to exact dimensions. Here is where our craftsmen's years of experience are a vital asset - since it's crucial that precise measurements are made to avoid any project delays, or water leaks. 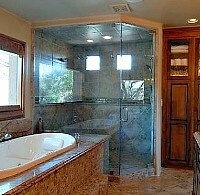 We sell, custom-cut to size, deliver and install the glass panels which comprise the customer's shower enclosure. It's important to note our services require that bath surfaces (tiles, walls, floor pan, etc.) have been made ready by the builder/remodeler. The glass is delivered to your home cut-to-specs and ready for assembly. It's carefully fitted into position to create the shower enclosure. The result will either become a frameless glass, or traditional framed design. Along with rubber sealing strips, we apply a silicone adhesive between the stationary glass panels and adjacent walls to create the seal for water retention. Methods to join the glass panels together will depend upon whether it's frameless or a framed style. 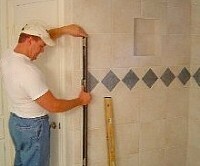 We always advise the homeowner to wait at least 24 hours to allow the silicone to cure before turning on their shower. This is to make sure doors, sealants and joined contacts are secure and to prevent any water leakage or mildew formation. Once this final task is finished, the work area is cleaned up and the shower installation is complete. Your new glass enclosure will provide you with years of trouble-free use. All work by our company is completed by experienced professionals, by our very own employees. We do not contract jobs out. The results are much better service to our customers for installation schedules and a more reliable accuracy for measurements. We've been in the glass business since 1872 - that's over 140 years - so you can be sure we know glass. We take great pride in providing our customers with an attractive shower enclosure they will admire and enjoy - and we want to do the same for you. Our staff will provide a free cost estimate for your project and answer any questions you have about purchasing glass, accessories, or your in-home installation. Call our office, or drop by the store location soon. Request A Free Estimate When starting a new bath enclosure project, you'll want to know exactly what's involved and how much the installation will cost. Speak with one of our experts and get the answers you need. Request your free quote.